Users can learn asynchronously, taking the training at the time and place most convenient to them. Cost savings thanks to reduced international travel requirements for trainers. Ideal for a blended learning environment in which additional educational materials can be provided via emails, webinars, and in-person trainings. Allows ACCIÓN to reach all staff members instead of a smaller subset of employees. Learners can permanently access all materials and have the flexibility to revisit applicable information when faced with on-the-job challenges. ACCIÓN International was founded in 1961 to promote international economic development and alleviate global poverty. Since 1973, the organization has focused on microfinance, providing small loans to tiny businesses founded and run by individuals living in poverty. Because they often lack substantial collateral and only need to borrow small amounts of money, traditional banks have generally refused to lend to these business owners. Therefore, their only option has been loan sharks who charge exorbitant interest rates. 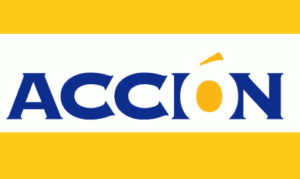 ACCIÓN and its partners are changing this dynamic by offering an alternative source of funds, small loans (as little as $100) at commercial interest rates provided to micro-entrepreneurs for investing in and growing their businesses. In 2009, ACCIÓN was operating on four continents and in 25 countries. With its partners it served 3.3 million active borrowers. ACCIÓN’s leadership development program consists of 10 modules that have traditionally been delivered via in-person, small group training sessions. They are a critical part of promoting the organization’s culture and identity internally. They help employees grow a shared sense of mission, vision, and values, as well as define and practice good leadership skills. When presented in person, the first module of ACCIÓN’s leadership development program includes participation in a DISC (Dominance, Influence, Steadiness, and Conscientiousness) assessment, a psychological inventory that examines how individuals behave in their environments. DISC assessments are frequently used in workplaces to help employees understand their own and their teammates’ work styles and preferences. The module also included substantial time for participants to discuss their beliefs and feelings about leadership. Schneeberger points out that in most eLearning courses, developers can recreate some of the feeling of classroom discussion by using Web-based community tools, such as discussion boards and blogs. But because some ACCIÓN staffers don’t have regular access to the Internet and must take eLearning courses on CD-ROM, Monarch Media’s developers couldn’t use these tools. To create these segments and assessments, Monarch Media’s team used Articulate’s suite of eLearning authoring tools. This software allows developers to rapidly build interactive, Flash-based pages and activities. By leveraging these tools, Monarch’s programmers were also able to keep development costs low. Although studies prove that most eLearning provides good return on investment, organizations often fear that the start-up costs of launching an online course will be prohibitively expensive. But this doesn’t have to be the case. For ACCIÓN’s leadership course, Monarch’s team used what Schneeberger calls “guerilla eLearning development” to keep costs low. For example, rather than sending the voiceover actors to a recording studio, Monarch captured their dialog using the company’s voicemail system. The course developers also used traditional Web technology to provide engagement, rather than relying on the heavy use of video. “You can engage people by creatively using still images and dialog versus having video or other relatively high-end types of media carry your message,” says Schneeberger. Having a good curriculum ready can also make a big difference in containing costs. “ACCIÓN had a really clear and well-developed curriculum already in place,” recalls Schneeberger. “They already had the outline and they had a complete sense of their objectives from an instructional design point of view. That allowed us to jump in and think about how to convert it into digital format. Others have taken note of the course as well. In March 2010, Monarch Media was named a finalist in the eLearning Global Giveback Competition. The contest is co-sponsored by the eLearning Guild and Learning for International NGOs (LINGOs), a consortium of more than 45 international humanitarian organizations.